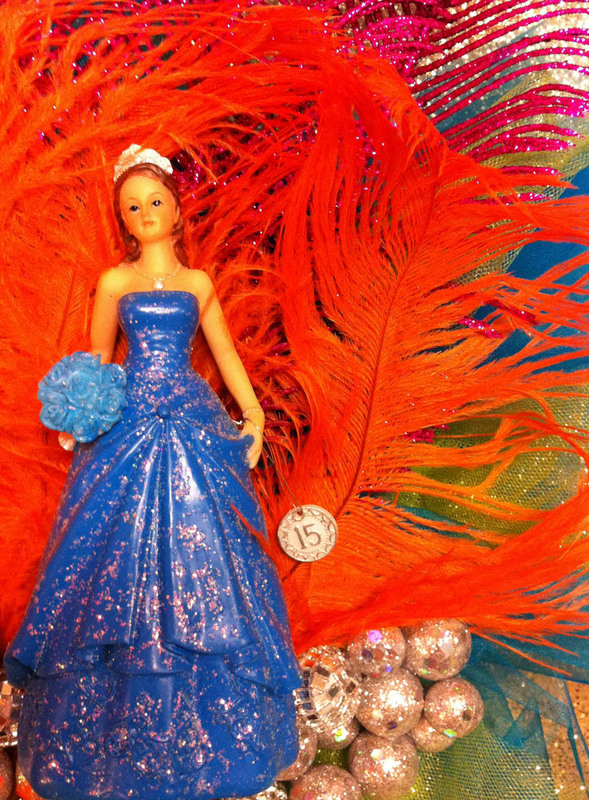 This week’s quinceañera is all about the glitzy decor. Recently, my family took a trip to Mexico and my mom visited a historic church that had some wildly ornate wall decorations. She wasn’t able to snap a photo (out of respect for the church, you know…) but she did describe them to me and together we created our own version. Simplicity currently has a huge display of quinceañera embellishments at Michaels (in the wedding section) and that’s what we used to make this wall piece. 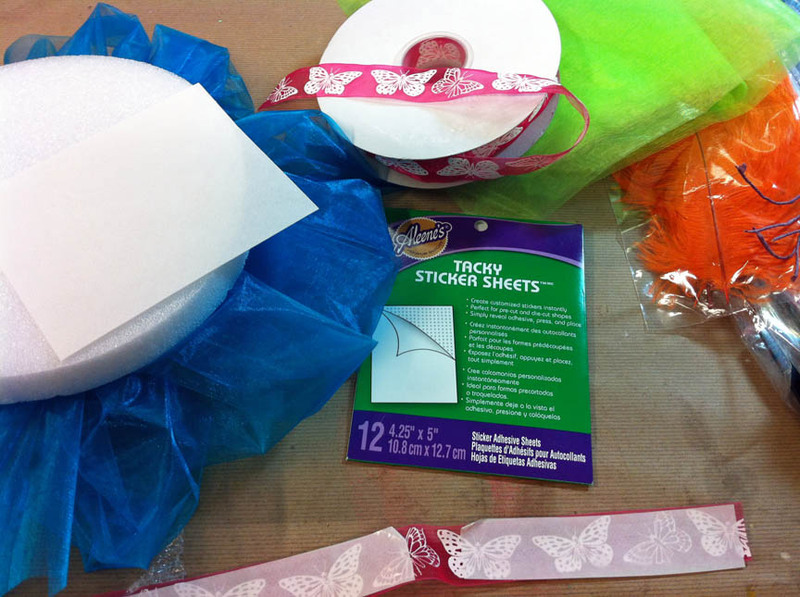 You can make several in whatever sizes you want and use picture hangers to display them. You could also use a standing easel to show them off as well. 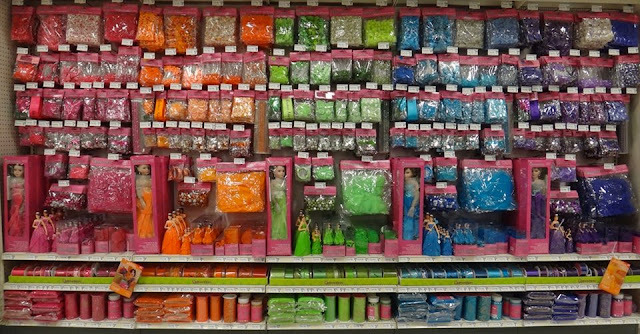 Here is the display at Michaels – it is like a yummy candy store, full of color!! Simplicity Quinceañera tulle, ribbon, feather, mini disco balls, figurine. 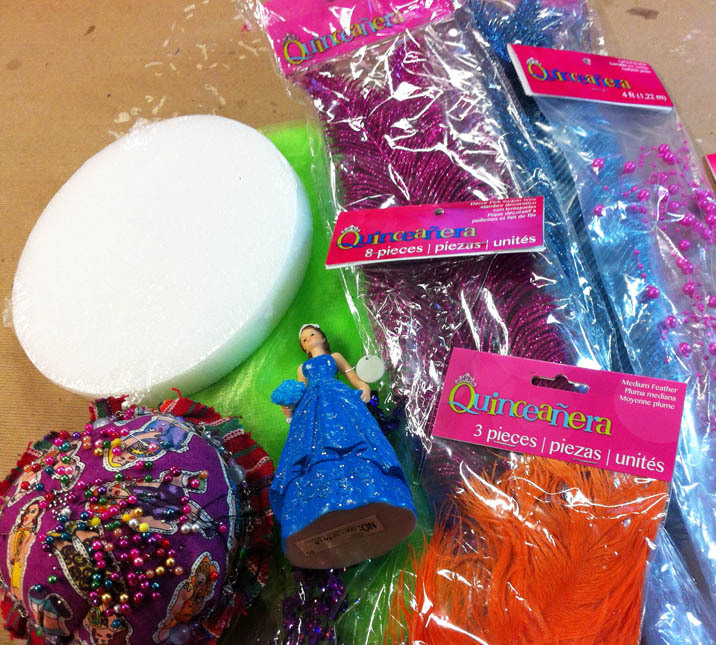 These are the supplies I started with, but I ended up using more! Start with a base of tulle. 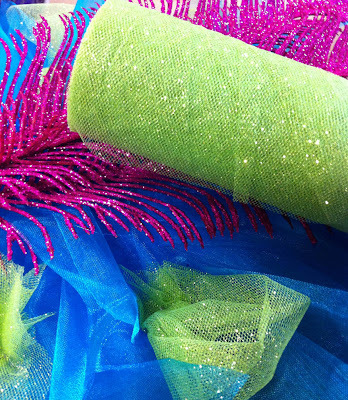 Cut it into 12″ pieces, gather and pin it all around the base to cover it and make a fluffy circle. After you have that part done, you’ll need to cover the outer rim. 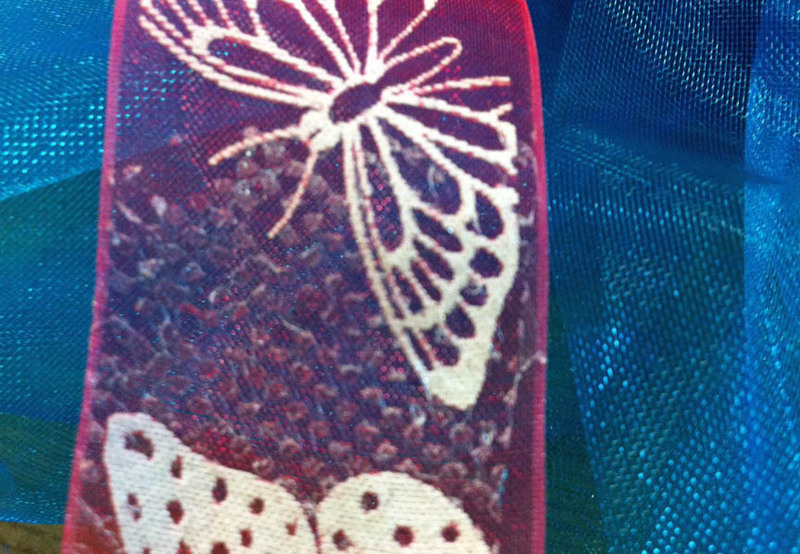 I used the quinceañera butterfly ribbon and I attached it using the Aleene’s Tacky Sheets. They are cool because you press them on and then peel the backing and it leaves these tiny sticky dots behind! 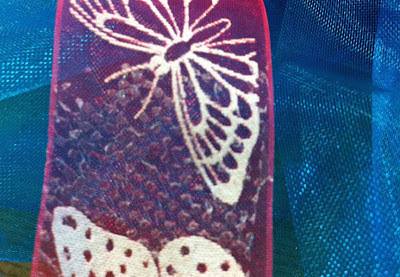 After that is covered, you’ll need to add some dimension and texture to the front of the wall hanging. 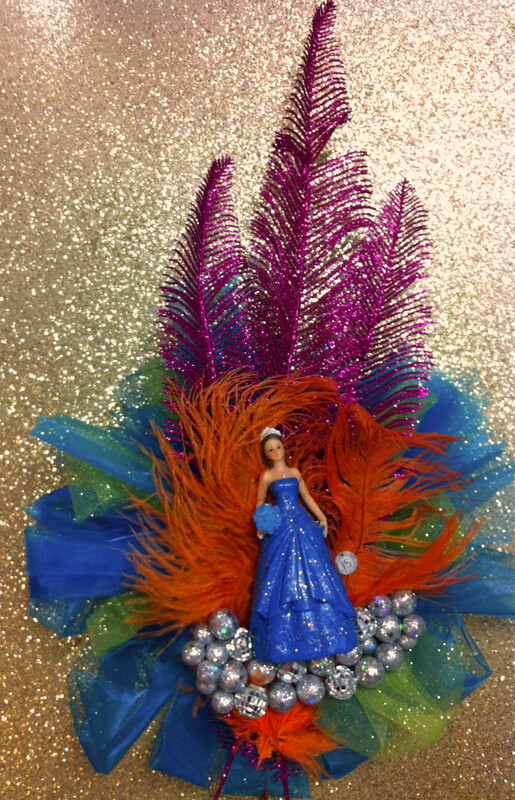 We used the quinceañera glittered feathers and other feathers and glued them in place. 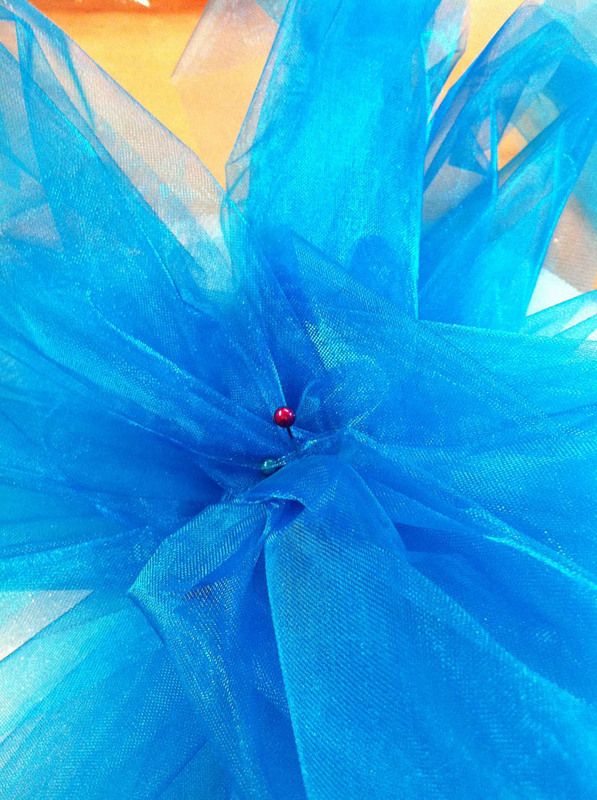 I added some pieces of sparkly green tulle throughout the blue just to give it a pop of color! Hot glue your figurine in place. 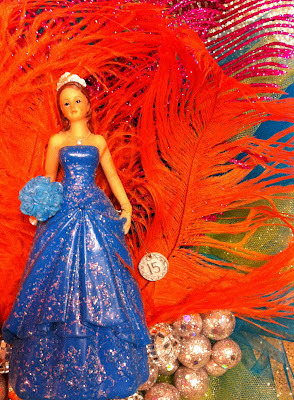 TIP: Instead of adding a figurine, you can add a colorful paper plate from the Simplicity Quinceañera line and glue a photo of the quinceañera girl of the night! I also added these cute mini disco balls all along the bottom. 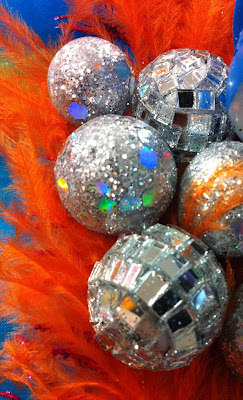 What can I say, I like glitz!!! I hope you’ve enjoyed my quinceañera craft project series! Let me know if you have any questions. The main thing is to have fun and don’t be afraid of color! 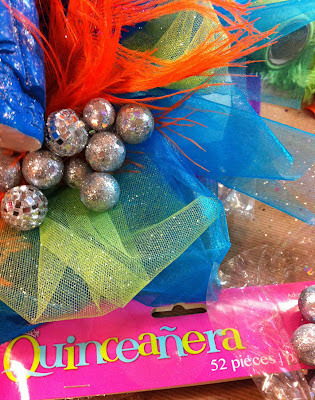 What I really love about this line of products is that they can be used for all kinds of things other than quinceañeras. so even if you don’t plan on decorating for a quinceañera, but love bright colors and sparkly items, you should still check out the display, there are so many goodies! This post and quinceañera craft series was sponsored by Simplicity. 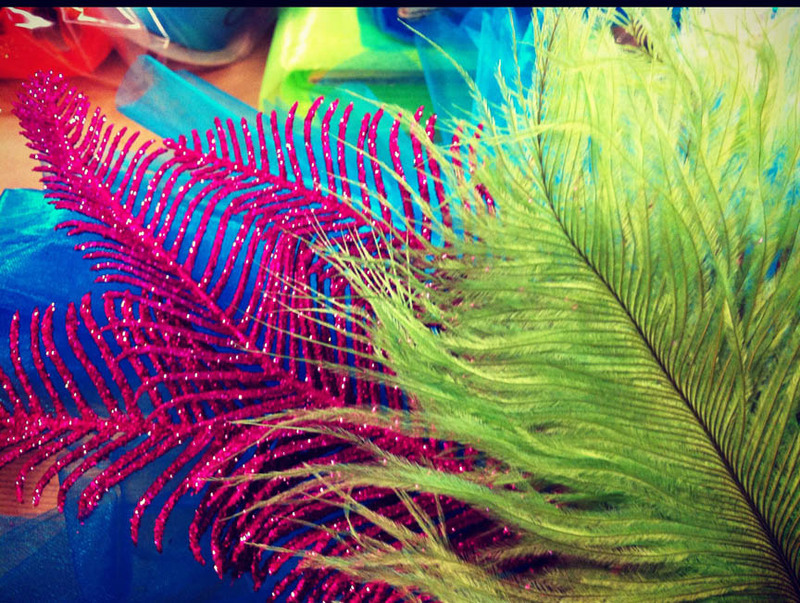 I’d like to thank them for inviting me to be a part of it, I really had a lot of fun making these crafts! This is so pretty, it is well styled too.